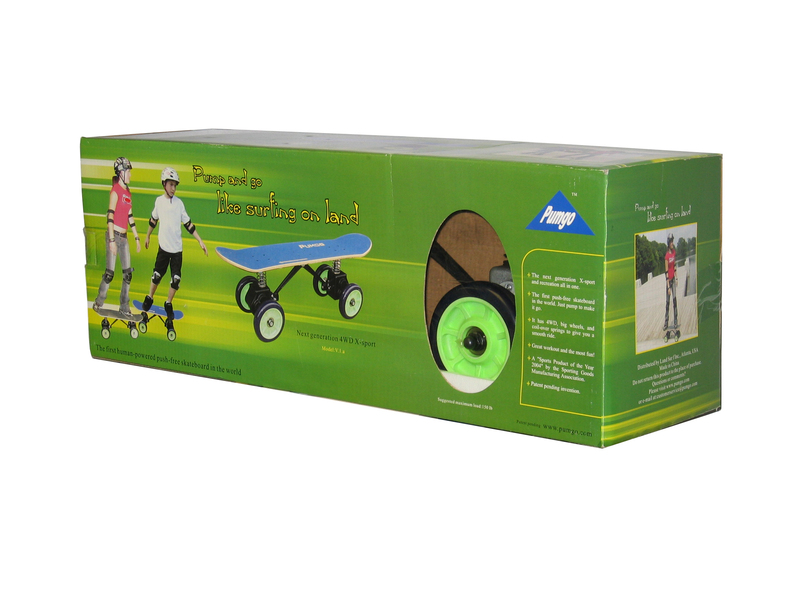 PUMGO is the latest invention of ride on toys and was featured on CBS News, Time Magazine For Kids, Boys' Life, and Sports Illustrated For Kids. Please visit your local Modell's or Dunham's sporting goods stores or FAO Schwarz toy stores to buy PUMGO. You also can order online at http://www.pumgo.com. Your online order before Dec 20th can be received before Christmas or you will get your PUMGO for free. 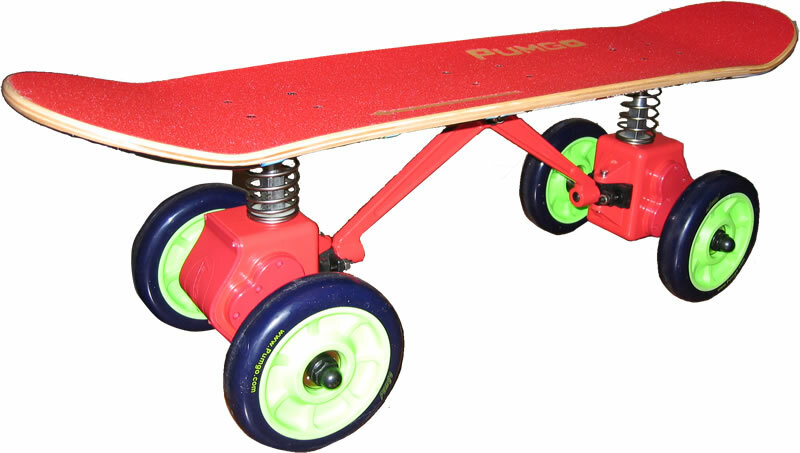 The PUMGO, one of the hottest toys at the 2006 New York Toy Fair, was built for non-stop fun. But does all that fun mask a greater good? Recently, Rick Mayo, who 15 years ago founded the first personal training center in Atlanta, North Point Personal Training, evaluated the PUMGO. Rick knows fitness. He is certified by both the National Strength and Conditioning Association and the American Council on Exercise, is an IDEA Master Trainer, and has been a presenter at numerous fitness conferences. After taking it for a spin, Rick sat down and gave us his thoughts. "I took it home and let all 15 kids in my neighborhood ride it," he started. "They all thought it was cool and everyone wanted to take a couple of turns on it to get the hang of it." Even the little kids joined in. "My daughter, who's six, was able to ride it no big deal," said Mayo. Mayo was impressed by the PUMGO's ability to work the body's core. "It definitely helps core strength which is the buzzword in the fitness industry right now," noted Mayo. "What it refers to is your deep abdominal muscles and your lower back which are responsible for spine stability and maintaining balance," he said, "it's where all the strength in your body starts." The PUMGO is all about the core according to Rick. "Just balancing alone on the PUMGO works your core strength, in addition to the pumping back and forth, because you have to distribute weight from one foot to the other while staying centered with your upper body which means your abs have to fire every time to stabilize your torso" he said. Not surprisingly, the legs benefit the most from the PUMGO workout. "It will work your gluts because your knees have to bend to balance yourself, the four quadriceps muscles, your hamstrings because you have to lean forward, and even a little bit of calf work as you shift your body weight between your heels and toes in order turn," said Mayo. The fun factor makes another appearance when it comes to calorie burning. While the PUMGO won't fire the heart up like running it will keep it beating in the aerobic, or prime fat burning, zone. To reap the benefits of that zone, however, you need to stay on the board for about 30 minutes. Mayo believes fun is a key factor in exercise saying "the most positive thing about the PUMGO is that it is interesting and fun so it keeps people on it for a longer amount of time because it is something they enjoy,"
Land Surf Inc. is located in Atlanta, GA. Land Surf Inc. owns PUMGO technology and is the only company manufacturing and distributing PUMGO in the world.